Have leftover rice but not sure what to do? 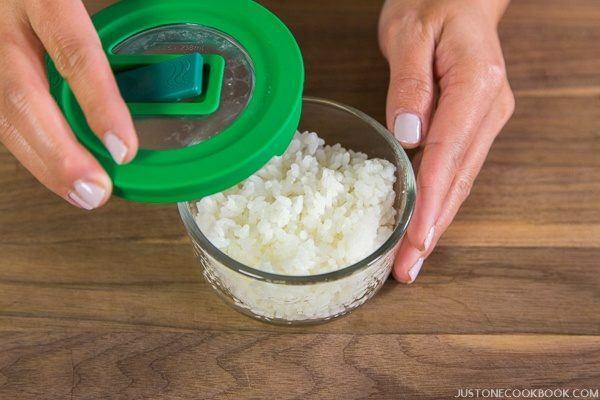 Simply freeze rice in airtight containers and enjoy them later on. It’s the best method. I often get questions from readers about how I store cooked rice. I usually make extra rice so that we always have some extra cooked rice ready at hand. What’s the best way to store cooked rice? When you end up with extra rice in your rice cooker after a meal, you have several options to store it. Option A: Keep in your rice cooker with “keep warm” function on. Option B: Keep at room temperature. Option C: Store in your refrigerator. Option D: Store in your freezer. Which option do you normally use? From my experience, freezing the rice is the best way to store cooked rice, and I freeze cooked rice even if I plan to use it the next day. Here’s why. There are many Japanese articles online that prove frozen then reheated rice tastes the best (by testing different storage methods). You might have tried to refrigerate rice, but the texture becomes hard and dry. Unless you have plans to make fried rice next few days, refrigerated leftover rice doesn’t taste good, even on the next day! With the freezing method, pack up the freshly cooked rice with steam (moist) in an airtight container and close the lid immediately. So when you reheat the frozen rice, it’s moist, fresh, and delicious just like freshly cooked rice! The freezing method allows you to store the cooked rice up to 1 month, so you don’t feel obligated to use it immediately or 2-3 days. Here’s the comparison with other methods. Option A (rice cooker): Up to 3 hours (best quality) to 1 day. Option B (room temperature): Up to 6 hours (summer) to 1 day (winter). Option C (refrigerator): 3 days. Option D (freezer): Up to 1 month. If you eat rice almost every day like my family and you cook for just 1 or 2 person, cooking rice every day may not make sense. It’s great that you can eat the freshly cooked rice, but it does not save your money and time. Therefore, I highly recommend making extra rice and freeze it. That way, you can just cook rice when you are running out of the frozen rice. First thing first, you will need airtight containers. 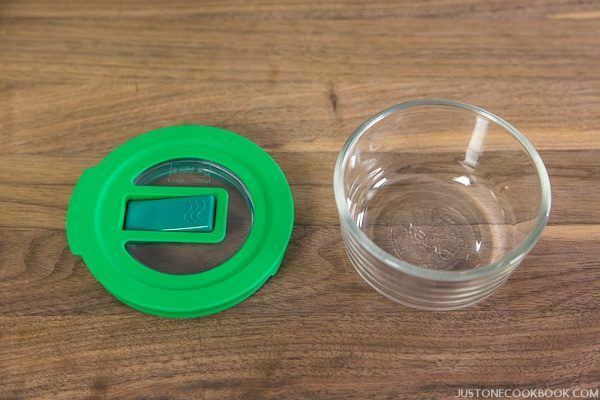 You’ll need a glass container with a vented lid that allows you to microwave with the lid on to keep the moisture. 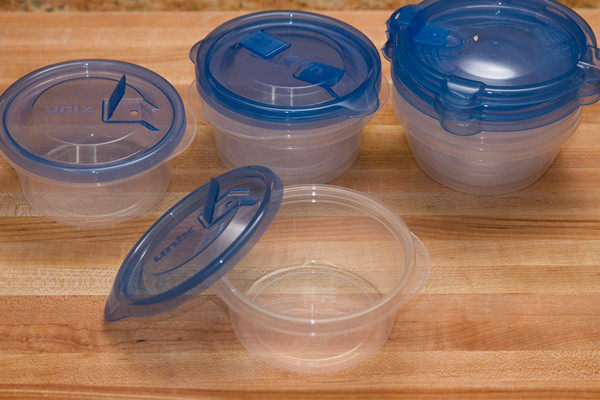 Pyrex sells the glass containers with regular lid, but you can purchase lids with a built-in steam vent separately. I have 1 cup Pyrex glass containers which are perfect for a small Japanese rice bowl. For adults, 2 cup containers work better. 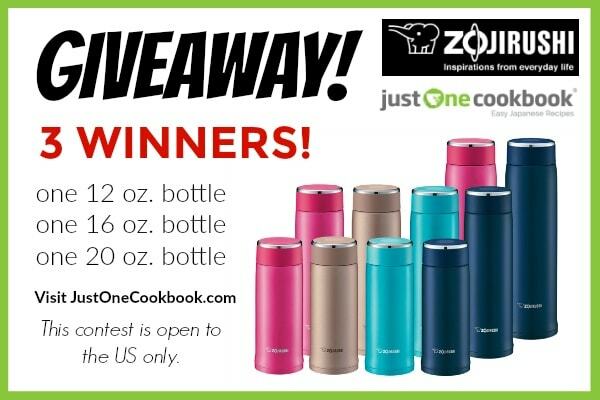 The vented lids are BPA-free plastic and dishwasher safe. The best time to store the cooked rice is when it’s just finished cooking. Make sure to pack the rice with steam and cover the lid immediately to trap the steam and moisture. When the rice has cooled, store in your freezer. The quality will stay well up to 1 month. When you need rice, take out the rice from the freezer, open the vent and microwave while it’s frozen. For this particular size, it requires to microwave for 2 ½ minutes (with 1100 w) and 3-4 minutes (with 600 w). You might want to experiment with your microwave to see how long it takes to defrost properly. If you don’t have microwave-safe containers or glass containers, you can use microwave-safe plastic wrap. For convenience, use a rice bowl for measurement. Place the plastic wrap on top of the rice bowl and put cooled* rice on top. *The direct contact between plastic wrap and hot food is not recommended. Due to this, you will lose some moisture content inside the rice. Remove the rice bowl and wrap tightly. I usually shape the rice into squares so that I can organize these packets easily in the freezer. Put it in a freezer bag and close tightly. Write down the date you pack. When you need rice, defrost until the plastic wrap comes off. Then transfer to a bowl, sprinkle a little bit of water (to add some moist the rice lost before packing*), loosely cover with plastic wrap, and microwave for 1 1/2 to 2 minutes. 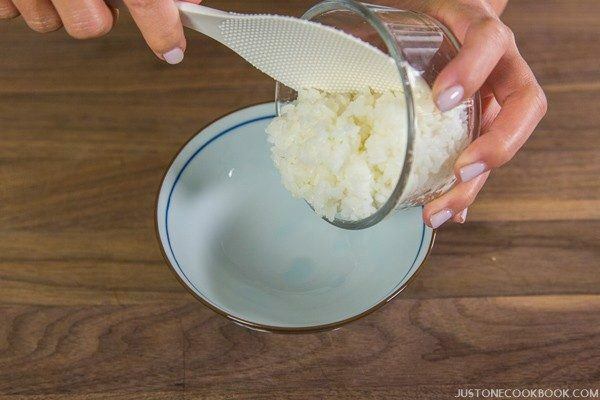 Here are quick rice recipes you can make after defrosting the frozen rice. Editor’s Note: The original post was published on June 10, 2013. New post has been updated with new pictures and more detailed content. Hi Nami! this is a big help! thank you so much for sharing this. Thanks Cheryl! Great to hear you like this post! Thanks, Nami, for an excellent tip. I always cook way more rice than I need in my rice cooker, and the leftover rice gets so hard in the fridge. What if you don’t have a microwave? Can you reheat frozen rice on the stove top or in the oven? Hi Debra! You could use steam method. You need a way to steam the rice again without losing moisture content; therefore, steaming will be the right alternatives. It’s not as convenient as it is with microwave though. 🙁 Or…instead of steamer, maybe add water in a pot and you can steam in the pot… sorry I haven’t done it and I am just guessing. But definitely not oven. 🙂 Hope this helps. I was just wondering, do you think it would be possible to reheat the rice in the oven if it was covered with tin foil? I want to cook a freezer dinner for a friend. 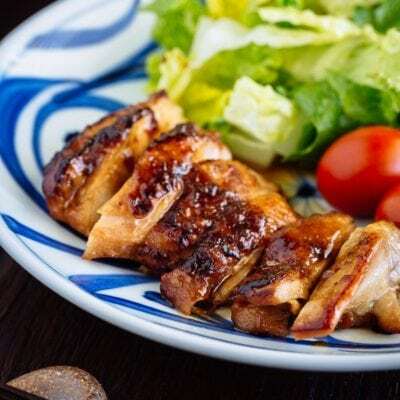 I am going to make a lemon sauce with vegetables and pork, and would like to mix it with rice and put it in an 8×8 pan to freeze so she can reheat it in the oven later. Does that sound like a bad idea for the rice? Any suggestions would help! Thank you! I looked for these containers using your site pointer, but Daiso did not seem to have them. I was very happy to find this tip on freezing rice. Would love to find the containers with the vent. I did purchase the spicesSeason with Spice that you recommended. Thank you!! Hi Carolyn! Hmm…Large Japanese supermarkets should carry them (I bought a set of 4 or 5 in Mitsuwa). 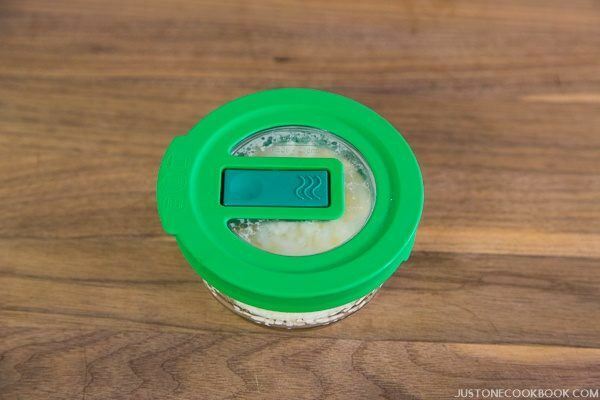 You can use a regular container and leave a small space when you microwave it too. I’m glad you bought spices from Season with Spice. I love the store! That’s an excellent tip Namiko san, Thankyou! Hi Cassandre! 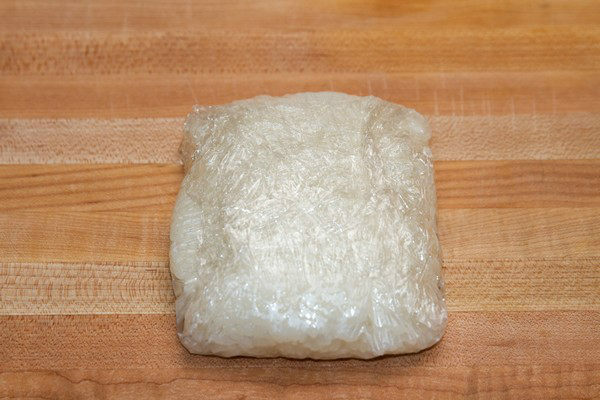 If your plastic wrap is microwave safe, then yes microwave the frozen rice (still wrapped in plastic wrap). For me it’s always 2 minute and 15 seconds. Be careful after you microwave, it can be very hot when you open the wrap. 🙂 Hope that helps! Is it safe to microwave the plastic wrap especially with the direct contact to the rice? Although FDA says it’s safe to use if it’s written “microwave safe” on the package (http://www.huffingtonpost.com/2011/11/30/microwaving-with-plastic-wrap-safety_n_1121271.html), I’d probably unwrap and loosely cover (not direct contact) to microwave. It’s probably the wise choice. I have never realized rice can be freezed. Great tip. Thanks for step by step instructions. Love your blog. I was also thinking the same thing. Rice will be mushy. I keep it in the fridge and not Freezer. Hi Nami! What suggestions do you have if I don’t want to store or microwave in plastic? One thing I’ve discovered for reheating rice in a microwave, whether it is frozen or refrigerated, is that adding a bit of water really helps reinvigorate the rice when you’re reheating it. Sometimes, the rice turns out even more delicious than when I first cooked it! When you’re about to reheat rice from the fridge, add about a teaspoon or so per cup of rice – don’t put too much or it will get very soggy. My microwave is unnaturally powerful so I use a lower power level – most microwaves should be fine with no power level change. Cook the rice for around 2 minutes for about two cups. Do I have to reheat the rice before packing it into the lunch box? I always assumed freezing cooked rice would ruin it, but I gave it a shot and was really surprised at how well it reheats. Thanks for the tip! Hi Mike! So glad you tried freezing the rice! I always freeze rice even I might eat it the following day. 🙂 Thanks so much for your kind feedback! May i ask.. i hardly use the microwave since there has been news that its not good.. I use oven instead. Will that be okay?? and storage the hot rice right away in the plastic ware, won’t that pose any bad effects for the health? Thanks a lot for sharing. God bless! Also i’m curious is it possible to cook rice (so it will be like glue to make onigiri or else) if it’s made of non-polished rice? What type of rice do you actually use? I’m asking this because i tried like 45 types of rices which can be found here, and none of them are good for creating onigiri, they are either break from time (2-4 minutes), or not even sticking together (so my onigiri become garnish). Hi Stanley! 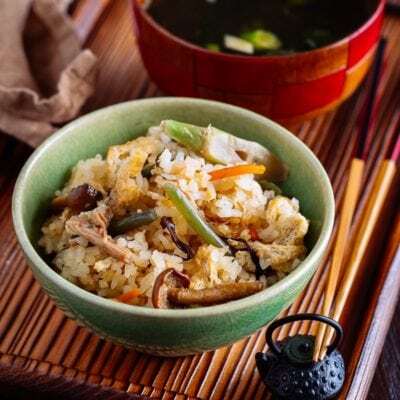 Japanese rice is short grain rice, which is different from Chinese or Vietnamese rice. 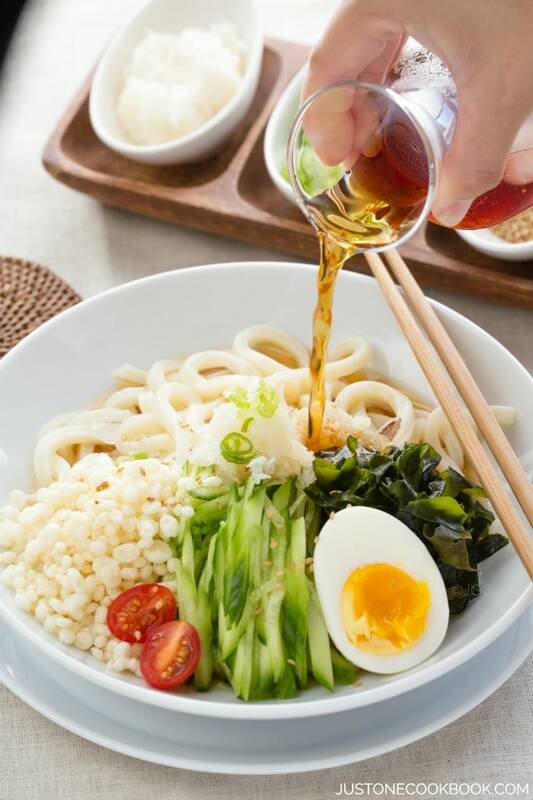 The each rice grain tends to be separate from each other, while Japanese rice is stick to each other (not super sticky like mochi or Chinese sticky rice – they are both “glutinous rice”, different from regular white rice). 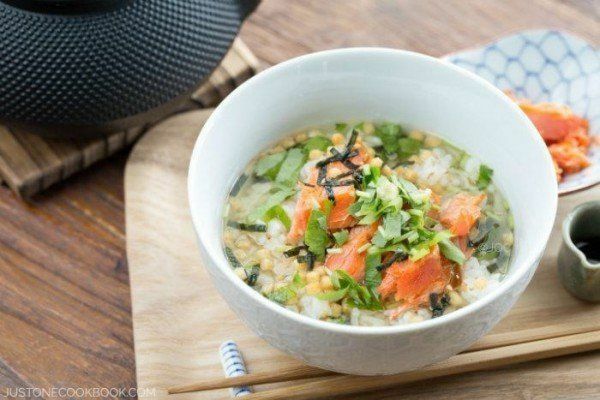 Japanese rice is short grain rice, while other Asian kinds are long grain rice, and it’s similar to arborio rice. Japanese rice has more moisture and works perfectly when we freeze rice like this. 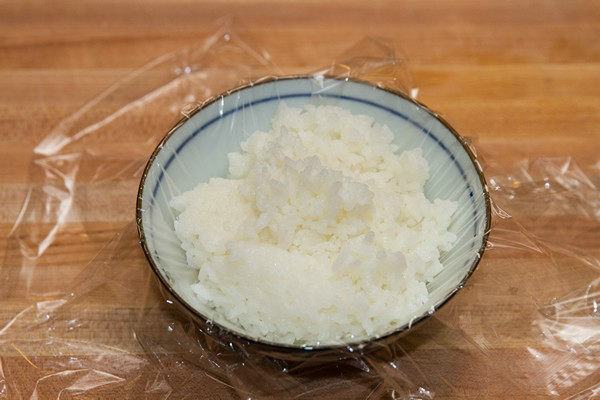 To make onigiri, rice has to be slightly sticky. It’s even hard to do with Chinese long grain rice sometimes because they don’t have enough stickiness (but not glutinous rice stickiness again). I’ve heard from some Indian readers that they tried with Basmati rice and the rice fall apart… when you steam rice, and each rice is separated, then there is no way you can stick and form a round or whatever shape. You can also probably used Food Saver bags if you have a Food Saver. Then when you are ready to use cut the top of bag, enough to vent and boil bag in water. Hi Mel! Does your work have a microwave? If so, I’d use a glass microwavable container to put chili and rice. 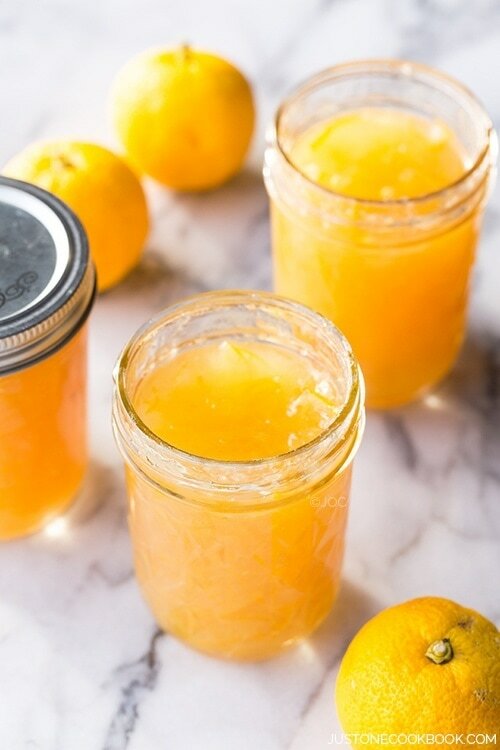 Let it cool down first, then put it in freezer until you are ready to bring to work. The day before you bring to work, you defrost in the refrigerator, and bring to work in a insulated bag (still thawing process), and then microwave at work. Do you think this is something you can do? Thank you, Nami. This is very helpful. I’m not the original commenter, but I’m planning on bringing rice to work where I have a microwave, and this is exactly the information I was looking for. Thanks again! Hi Claire! Glad I could help. It might need a few times to figure out how many minutes you need to microwave. When you “over-microwave/cook”, rice gets hard, so be careful. I would put a paper towel on top of the glass container (no lid) to microwave to keep some moisture trapped inside the paper towel. Enjoy!! Thank you again for the helpful comment. That is exactly what I was planning on doing, as I don’t have a vent on my container lid. I usually find that dampening the paper towel before putting it over items I cook in the microwave helps. Excellent Site– Good information– Typically Japanese– very smart and concise– I am hakujin lucky enough to have grown up having some Japanese mothers–thus having a great respect for all that is Japanese– this site is giving me information some of which I had forgotten. 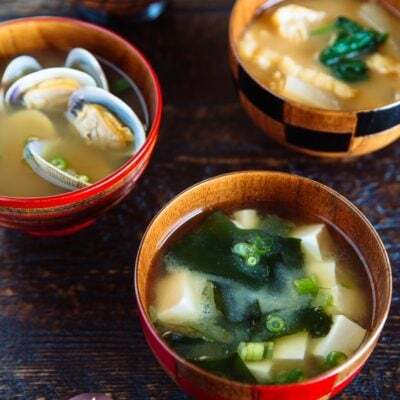 So happy to have discovered your site Nami !! Thanks for this. I am on a Slimming World plan and have decided to cook some double portion meals and freeze them. As rice is a healthier choice to pasta or potato and fantastic when you buy frozen, i was hoping for tips on home freezing. I thought the rice needed to be cooled quickly for it to be safe so finding that it wan just be packaged and left to cool is great. thanks. Hi Nami! So happy to find this post. I had a lot of rice left over after an event and wanted an expert to confirm it wouldn’t go to waste. I’m always thrilled when your page comes up as the first search result. You (and Shen) are really doing an amazing job! Hi Alicia!!! So nice to hear from you! I always freeze extra rice, and I’m actually eating rice now that I defrosted in microwave. I never keep it in the fridge even though I eat it the following day because it’s more fresh that way. 😀 Hope all is well with you and I get to see you one of these days! hi nami! i’m a new fan..your site is very beautiful and helpful. i have a question. if i use plastic wrap, do i need to cool the rice before wrap it? thank you in advance, nami. Great to know how to do this. I do a lot of bulk cooking to store in my freezer. Wonderful!! Hi Jamie! Thanks so much! Glad this post was helpful! 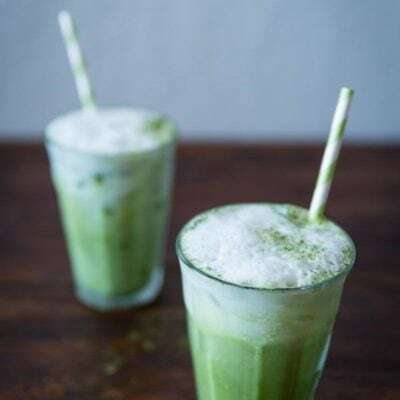 Hi Nami,thank you so much for your feed back.i am on it at the moment.I have decided to experiment a bit before i go away to see if it works. Can I steam the rice instead? wrap tightly in aluminum foil on it’s own, or in parchment baking paper inside of aluminum foil [ -if you are one of the folks leery of foil too, but frankly foil is much better then plastic anyway]. 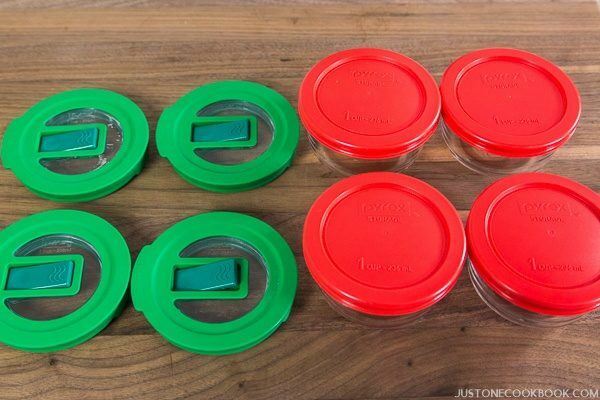 or use those glass containers with tightly sealing plastic lids, don’t overfill so the hot rice only touches the glass and not the plastic of the lid. – you may be able to find them for sale at your grocery store, dollarstore, or local kichen supply store. I found some really nice quality tempered glass with thick sturdy plastic lids at my local dollarama for $2-$3, they had square and bowl shaped ones. Thank you so much for your response! I appreciate it very much! If we store rice in the freezer using the plastic wrap method, do we microwave it in the plastic wrap or do we remove it and microwave it in a bowl? 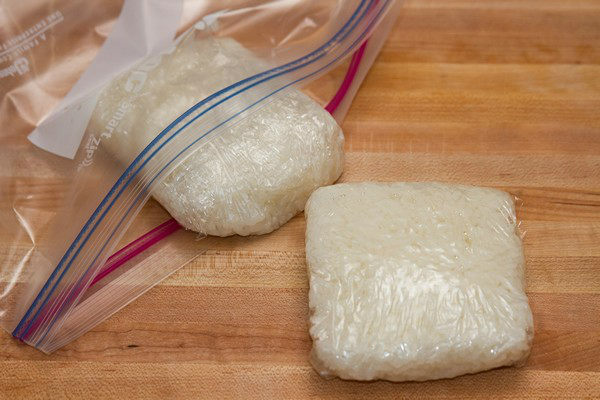 Wonderful tip to freeze rice in plastic wrap — Thanks!! My family just uses quart size Ziploc bags. Not as environmentally friendly but so easy to just open the Ziploc bag, toss is in the microwave for 2 minutes, dump out the rice, and throw the bag away. You make it sound so obvious, I can’t believe that I thought that rice couldn’t be frozen – I don’t even know exactly why I thought that. One question – i would like to pack rice along with chili, barbeque ribs, stroganoff etc for my partner’s lunch.. He doesn’t have access to a microwave so I thaw it in the refrigerator the day before and he mikes it in the morning and transfers it to a thermos before he leaves. His thermos has a two portion insert so the rice could be separate from the main course. How would you recommend I treat the rice in the process? Thanks so much – this will help me immensely. You mean he doesn’t have access to a microwave at work, right? First of all, I would boil water and fill up the thermo (I’m not sure if you do, but this part makes a huge difference to keep the food warm). I throw away (as the thermo was cold to begin with and hot water will cool down quickly from the cold thermo). I fill up again with hot water and leave it for 5 mins or so. Meanwhile I heat up rice in a microwave and as soon as it’s done, I throw the hot water and quickly dry it with towel, and then put the rice in it and close tightly. My kids say the rice or any food I put is “warm” by lunch. Never “cold” but you know, it’s not hot… Hope this helps! First, I must say that I truely enjoy how you teach those who visit your wetsite, no matter what the subject may be. 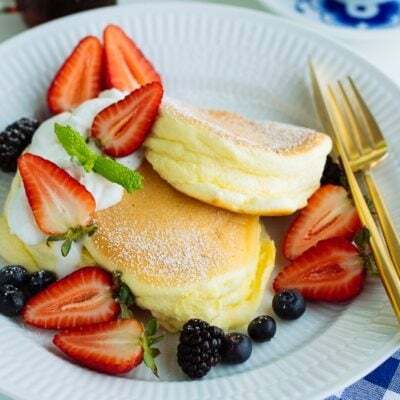 With that in mind I would appreciate it very much if you will send your recommendation for the stvetop method for reheating froozen rice since I do not use a microwave oven at all. The reason that I don’t is due the fact that when food is processed in them it virtually kills the valuable nutrients foods such as rice. Thanks in advance for your help, and Merry Christmas and Happy New Year. 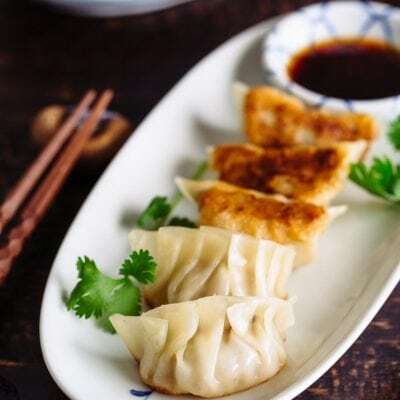 If you have a steamer, you can definitely reheat it without microwave. Do you have a steamer? 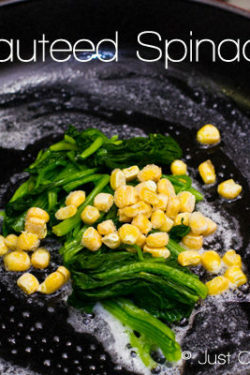 Another option is to put it in a non-stick pan (as I do not want to use oil for my rice in a stainless steel pan) and add a few drops of water and cook covered. I’ve never tried it, but it should work. ” containers is that there is a built-in vent ” Hi, where i can buy those containers? thanks. Hi Marco! I got the plastic kinds in Japanese grocery stores here in the U.S. I’m going to be re-writing this post soon with the glass container with vent below, which are more available. It’s by Pyrex. If you freeze the rice, how would you recommend heating it without a microwave? I usually put it on the stove with some water and heat it on low. I always freeze my extra rice in BPA-free freezer bags. To re-heat, I just microwave the frozen rice in the bag, opening the bag just a little to vent. It take about 2 mins., depending on how much is in the bag. Always turns out perfect! My mother taught me this and we have been doing this for years. Thank you for sharing your tip Pam! Thanks for your post: Freezing sounds great and I’ve not done it. On another note you are who you are. You don’t need to be Japanese (although that part of you is great) nor do you need to be “American”. Your friends see you as whomever you are, not merely a representative of a culture. Get real ! Wow, thanks for the tip! I never thought about freezing it. When it is too warm outside to store it at room temperature, I refrigerate my rice. When I re-heat it, I sprinkle some water on top of the rice to moisten it before microwaving, and I keep it covered. I’ve found that method to work pretty well! Thank you! I’ve been storing at room temp for years, and have wasted a lot. I hate dry refrigerated rice! Freezing in single portions for various uses and of course onigiri really appeals to me. Thanks again! Intriguing. I see how the frozen dinners have better rice than my lunch at work the next day from homemade. As an individual living solo, I’ve resorted to getting those vacuum sealed baggies. This will let me both eat more home cooked meals & spend less time in kitchen both with cooking & cleaning. Thank you. The vaccuum sealed is expensive. Even if I only cooked enough for 2 weeks, it would make after work meals so much easier. Between taking public transit an hour each way, time can be limited. Does this work for all types of rice; i.e., white, brown, basmati, black, red? This is unbelivable! You read my mind! I was going to ask about rice storage. Hi Kate! Hehee I get this question a lot… so now I can just send this link instead of answering one by one. 😉 Thank you for reading! This really works the best, and I hope you try! I’ve been freezing cooked rice for ages. It’s a very practical thing to do. I like your website & appreciate your recipes. Please do your research on microwaves–I haven’t owned or used one for over 20 years because they are very harmful to your health & destroys the nutrients in your food! I don’t think these links will work, but please check Natural News or Mercola.com, or just google it, thanks. Hi Marlene! Thank you so much for reading my blog. And thank you for sharing the links with me and JOC readers! This is fantastic! I’m glad this post came around again because I had no idea I could do any of this! I figured I had to resign myself go fried rice-textured leftovers. Thanks! Nice tip for your readers and to take as a practice for storing rice. Hi Leo! It’s both my own experience as well as from Japanese articles I was reading prior to writing this post. My own experience is not technical – it’s very obvious if you compare rice stored differently. Texture, moisture level, and taste…. This is Japanese article with experiment. Maybe you can use a google chrome to translate? So you know: storing rice at room temperature is a bad idea. 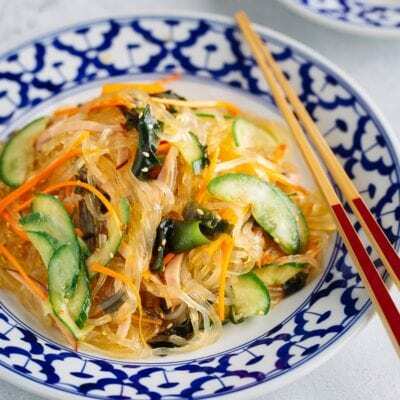 Rice normally contains bacillus cereus, and those spores survive the cooking process. So the recommendation is to store cooked rice above 140 F, or below 40 F within 2 hours of cooking. I know most of the time you won’t get food poisoning, but I hope you will edit this post anyways with the correct recommendation. Not everyone realizes that rice is often the cause of food poisoning. Thank you Kelly for sharing the links with me and JOC readers! 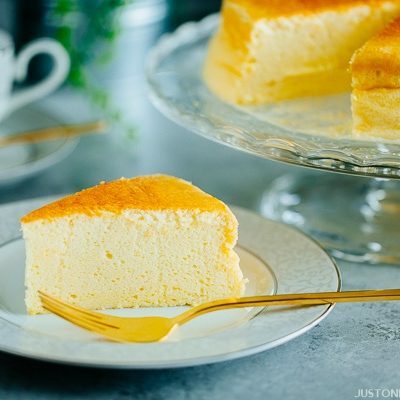 Many JOC readers told me they keep rice at room temperature, in rice cooker, or in refrigerator, so I wanted to write this post to recommend freezing rice. 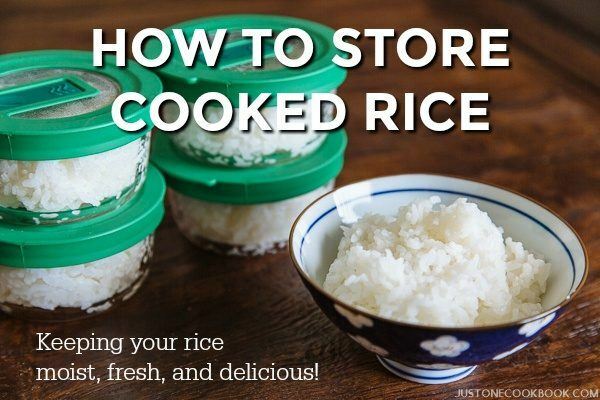 I learned to store cooked rice by freezing it when we lived in Japan. My son regularly makes more rice than we will eat at a meal so he can freeze and have it available for his lunch for a few days. We love it! What about if you do not have a microwave? Also , how long does it take to thaw to make fried rice? Hi Karen! I recommend steaming it for regular use. Not as easy as microwaving it, but I understand people prefer not using a microwave and some people don’t own one. Great! We always have too much rice since there are only two of us. I always put it in the refrigerator and we microwave it with a little added water and a damp paper towel over it. But this sounds like it will last a lot longer and stay fresher. Thank you for the tip! BTW, there has been a lot of research done on people who have moved to other countries when they were young and grown up as transcultural. I was one of those kids. My parents moved us to the island of Saipan from Kansas City, Missouri when I was 8, then I went to Japan for high school. When I came back to the US for college, it was like living in a foreign country! I’m used to it now (32 years later), but it was like reverse culture shock coming back to the US. Let me know if you want to read some of the research on transcultural kids. Happy belated birthday Nami! 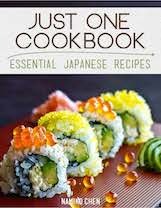 Thanks for introducing me to Japanese cooking. I’m very pleased with all the recipes I have tried from your blog. I look forward to more recipes/videos/vlogs/travel journals/reviews from you. Thank you! Thank you so much for your birthday wishes, Carrie!!! xo!!! 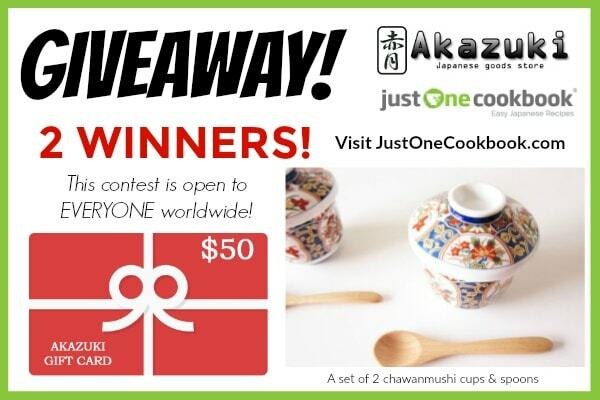 I’m happy to hear you enjoy my blog and thank you for reading my posts, watching my videos, and trying out my recipes! I use a lot of rice and, when alone, oft cook for 3-4 meals . . . your freezer tip is most useful as I normally store leftover rice in the fridge! Am very careful not to leave it out as badly kept grain can actually make on quite ill! Hmm: I am Estonian-born and arrived in Australia as a child . . . have lived all my life here and my children are certainly Australians. I prefer to say I am an Australian of Estonian background or heritage . . . ie, especially as I get older I DO feel an atavistic connection with birth count . . . . no problems tho’ sitting on a swinging garden gate 🙂 ! Just quickly read some of the comments on microwaves and as a doctor and nutritionist fully agree! I may use my microwave to warm a heatpad or heat up a drink quickly – I would not dream of ruining my health by using it for food! Ever!!!! I store my extra rice in zip lock freezer bags. Then we just open it just a little (to vent) and throw it in the microwave. Easy peasy! Qvc.com sells 30oz. BPA & Phthalate free sets of 5 mugs with vents for freezing & microwaving cooked rice item #K-44891 by Sistema in 6 colors. I am very happy with mine. they freeze well & are dishwasher safe. the vent will hold a straw for beverages.Hope this info is helpful. thought I knew all about cooking in my 78 years but have learned much more from your informative blog.Thanks so much! I don’t have a microwave, but my Oven has a Defrost-Function, can I use that instead of the microwave? Or how can I defrost my Rice for Onigiri another way? Thank you for all your informations and recipes! I have been eating rice all my life (60+ years) and this was the first time I have heard of freezing it for storage. Thank you for sharing this fantastic tip! Thank you so much for sharing this. I have never tried this but will start tonight. I just love your website. Arigato Goziaimasu~! Thank you. I am going to try zip lock bags. I also have some sweet glutinous cooked rice in coconut milk so I will freeze that in glad wrap too. 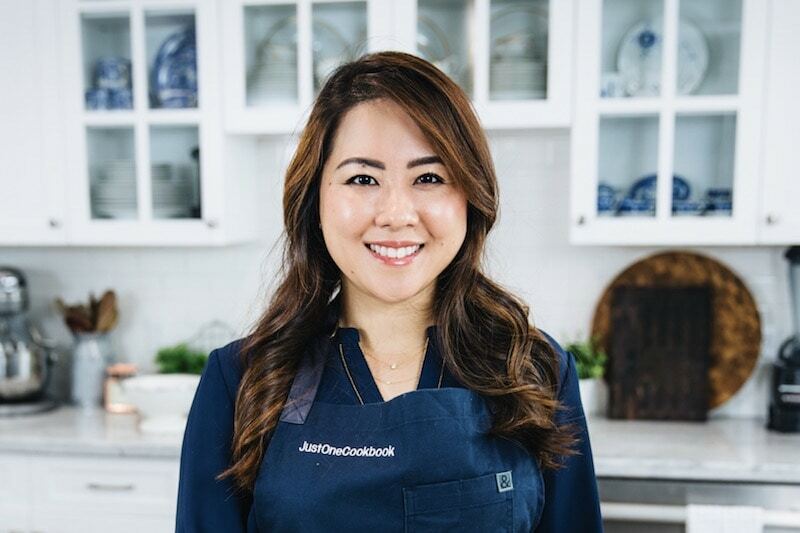 Naomi san, I usually keep leftover rice in the fridge and reheat it with a rice cooker using “Quick Cook” function, does it work this way? Excellent post. Exactly what I was looking for. This is a great idea and I also read that freezing also stops growth of bacillus cereus which is naturally present in rice. This is why three days in the refrigerator is the maximum you should keep rice and freezing is actually the better option. Your tip is giving us better tasting food and keeping us all healthy, so thank you! Any readers in Australia know where I can buy, in store or online, ther Pyrex containere and lids??? Thank you for that tip! I love Japanese cuisine but I’m single so cooking rice for just one person is a chore. I had no idea I can freeze it without loosing quality. This is such a good news to me. I’m going to use the cling foil for now as I have rather small freezer but I’m thinking about taking rice slightly earlier and thaw it just a little bit to be able to unwrap the foil and then transfer to a bowl and cover it with a lid so the moisture stays in. Anyway, thanks for all your recipes and tips! Oooooooooh the damp paper towel idea is brilliant too! Thank you so very much! You’re a mine of excellent ideas to me 🙂 I already fell in love with Bulgogi Onigirazu and eat it probably more than any other food. I’m considering buying this glass container you mentioned in your article too, it takes more space in a freezer but as you said I could use it as a rice bowl and it’s reusable and glass – less rubbish, no bpa. 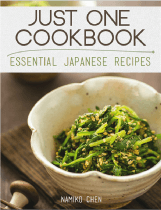 Anyway thank you so much for your website it gives me inspiration and guidance into Japanese cuisine which is my current culinary love. This is a great article! We’re a family of 2 and whenever I make rice in the rice cooker, half ends up in the trash. I started buying these frozen packets of rice from m Trader Joe’s. Less economical, but convenient and way less wasted. But with the help of your article, I can make my own packets and zap them when needed. Economical, no waste, and convenient. It’s a win win! Thank you! Hi Harvey! I’m not too sure – they don’t seem to have a largest one with vent. 🙁 Yes you can freeze rice that contains chicken (like Japanese mixed rice for example). Or did you mean the chicken by itself? Sure! I don’t have a microwave. Is there another way to heat up frozen rice? 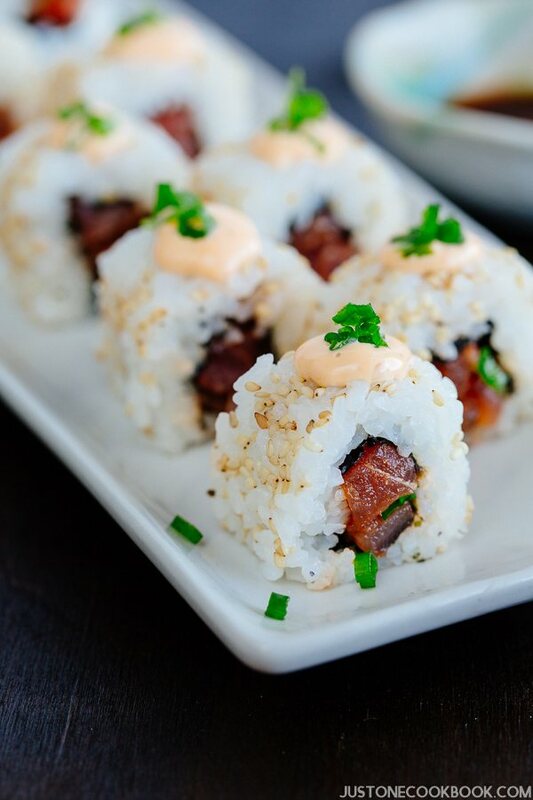 Can you freeze sushi rice? PS: love your site. very useful! What about storing rice in 2.5 oz servings in classic fold-and-close sandwich bags? I also do one minute on high in an 1100w microwave. Is the quality remarkably different if I do it this way? On other thing: when I nuke it on high for a minute, I’ve ben doing it uncovered, on a small plate or in a cereal bowl. Is this OK, or definitely not OK? Thanks! Thanks, Nami, for the tips. I’m going to try this. My son and his babysitter are here all day while I work, and I want him to have plenty of nutrition (even though the sitter doesn’t know how to cook). Space is at a premium in my freezer, so I will have to use plastic bags, but I might use wax paper to protect the plastic from the heat so I can pack it sooner.. Thank you!! a wet paper towel over the rice in the microwave creates a steaming effect over the rice comes out steamy everytime. Hi Brad! Indeed! Thank you for sharing your tip with us! I had no idea I could freeze rice! Thank you so much! If it doesn’t affect quality like you say then meals have just gotten a million times easier! Hi Anon! Oh yes!! You’ll be shocked. 😉 Don’t ever put it in the refrigerator… We always keep individual rice portion in freezer so we can eat fresh rice anytime! Hi Nami, usefull post,again! Ibwas wondering about Rice i made for sushi. 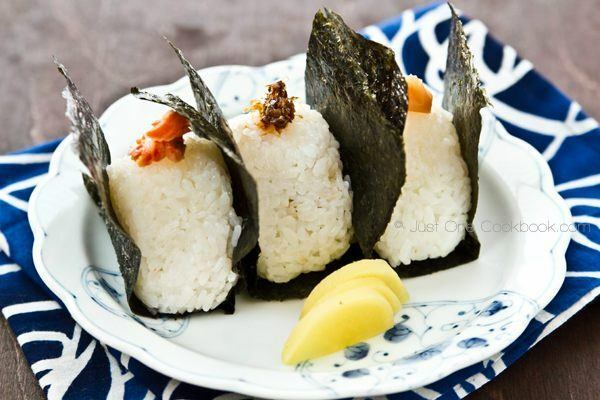 Do you prepare the Rice with the sushi seasonings and then freeze it do you can use it for say onigiri later? Or do you freeze the rice Ans add sushi seasonings later? Thanks! I just wanted to thank you for this wonderful site. I really appreciate how thorough your instruction, even including specific product recommendations and storing techniques. You are just a terrific resource. Thank you so much. 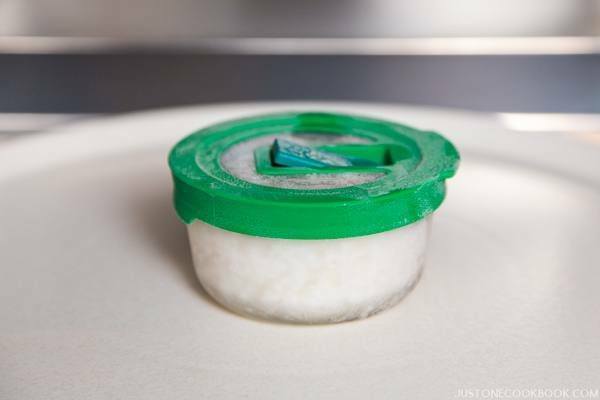 How would you re-heat frozen rice if you don’t have a microwave? Hi Kimiko! In Japan, 99% of the household has a microwave, which is why this method is the most common method. You can use a steamer if you have one, but it takes a longer time and it defeats the purpose of the quick and easy method… so I’m not sure this is the right method. I’m not a big fan of using the microwave for cooking, but I use it just to quickly reheat the leftover food and frozen rice.